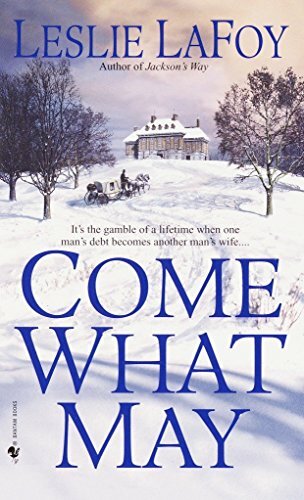 This review of Come What May by Leslie LaFoy was first published at The Romance Reader in 2002. I rated it 4-Hearts (B grade) with a sensuality content rating of PG. Claire Curran might as well be all alone in the world. After the death of her father, she’s left at the mercy of her Uncle George - who finds it nearly impossible to tolerate his headstrong, unconventional niece. The fact is though that Claire is a smart, resourceful girl, even if she is a bit of a headache. So for the last several years she has been traveling abroad, seeing to her uncle’s numerous business dealings. Her latest travels have taken her to colonial Virginia where she learns the extent of her uncle’s distaste for her. Seems one Wyndom Rivard owes her uncle a rather large of sum of money and he’s calling in his marker. Unfortunately, Wyndom is completely useless and the job of cleaning up after him is left to his brother, Devon. Devon is one step away from debtor’s prison and has been valiantly trying to keep the family estate, Rosewind, afloat. It hasn’t been easy. His mother, aunt, and brother are notorious spendthrifts, and Devon has to walk the very thin line of frugalness and public hospitality. Naturally, he cannot pay his brother’s debt, which means he has no alternative but to accept Uncle George’s ultimatum. He’ll call off the debt if Devon will marry his niece. This doesn’t make either Claire or Devon happy, but they see no alternative. They decide to enter into the marriage on the understanding that they will annul it the minute they receive word that the debt is forgiven. It’s never that easy in Romance Novel Land though. The couple soon find themselves attracted to each other, and the plot soon puts their newly discovered, if unvoiced feelings, to the test. 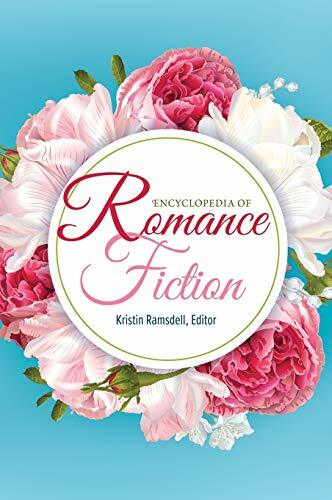 If Romance Writing 101 classes ever exist, Come What May should be required reading simply because of Claire. I loved this heroine. She’s smart, practical, hardworking, resourceful, and utterly wonderful. No, not feisty - smart, and believe me there is a difference. I liked her so much that if it were possible jump into a fictional book, I would want to be friends with this woman. Devon is an intriguing hero, because he is being pulled in many different directions. He’s desperately trying to keep the family estate afloat, but is getting no help from his family, who continually whines about the lack of baubles and extravagances. On the brink of bankruptcy, he has nothing to offer a wife, or so he thinks, and this largely makes up his internal conflict involving Claire. Come What May is a largely plot driven novel. The author writes in several obstacles for Claire and Devon to struggle with including, visiting politicians, unsupportive relatives, impending war and a witchy other woman. These episodes keep the story moving along at a brisk clip, and further allow the couple to explore the depth of their feelings. My minor quibbles revolve around some of the secondary characters. The other woman, and Devon’s aunt are one-dimensionally nasty and the few slave characters present are relatively saintly. However, I did enjoy seeing these various secondary players through Claire’s eyes. This practice did add depth to Devon’s mother, brother, and Mary Margaret, an Irish indentured servant. I currently have two other Leslie LaFoy novels buried in my to-be-read pile. You can bet that I’ve moved them up towards the top of the heap. With a truly magical heroine, world-weary hero, and an all too infrequently used colonial setting, Come What May is one of the better historicals I have had the pleasure of reading this year. Wendy Looks Back: I've always been relatively indifferent to colonial settings. I blame this spending my school years getting the Revolutionary War crammed down my throat for half the school year with the rest of American history passing by in a blur. 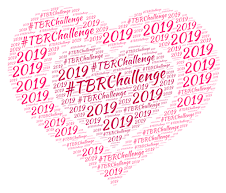 That said, I know many romance readers who adore the setting and it's not a terribly common one to find - today or back in 2002. To this day when someone asks "Anyone know a good colonial romance?" - this is the first book to pop into my head. LaFoy wrote several well-regarded historicals and her last book on record is a Silhouette Desire from 2008. After that? Nada. Sad indeed as my experience with her work was always quite solid. In fact I still have a few of her titles buried in the ol' TBR Pile of Doom. I am one of those "love colonial romances" people. Thanks for the rec! I hadn't thought of LaFoy in ages. She was an author I read early on. I didn't read this one, but I do remember liking what I had read. I'll be checking this one out. My interest has been piqued lately by colonial romances.